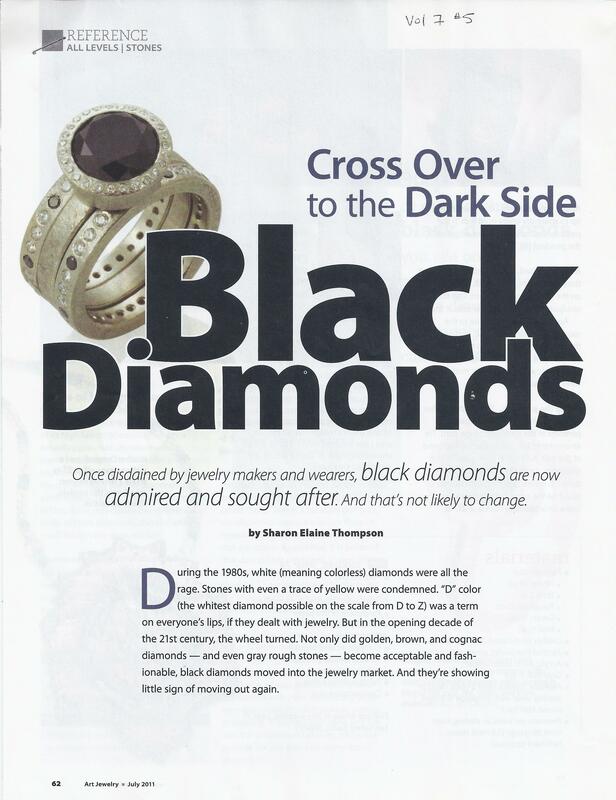 Click on the links below to see a PDF of the text version of the story. 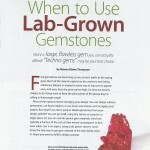 Be aware that magazine stories go through an editing process. What I send in may not look like what you see in the magazine. 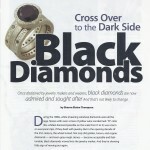 “Cross Over to the Dark Side.” Black diamonds have found a home right next to the flawless gems. But what are they and how can you use them? Click here for PDF. 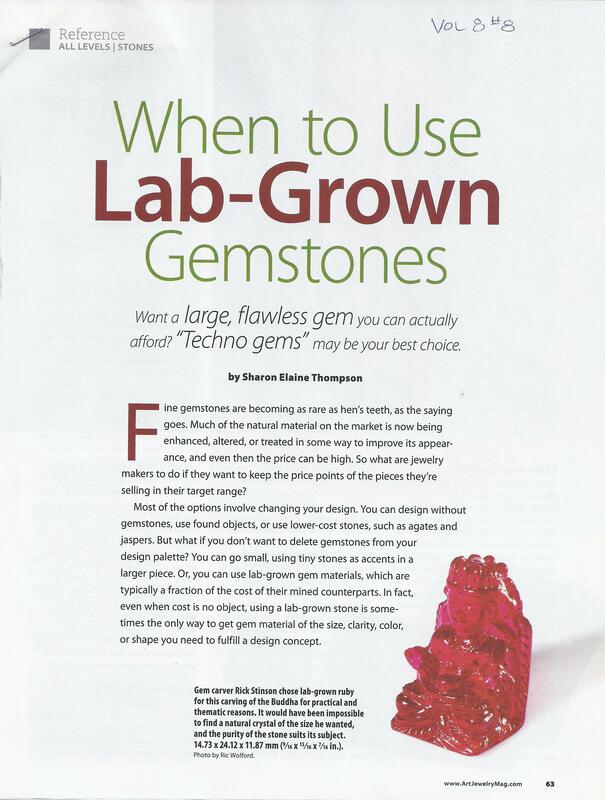 “Techno-Gems.” Sometimes in order to make the jewelry of your dreams, you need the size, color and clarity in a gemstone that only man-made materials can give you. What are these techno-gems, and how and when can you use them? Click here for PDF.